After hearing the sounds of Matt Henshaw's voice you can tell his vocal influence is that of soul and blues. You can hear the journey he has been on, in not only his voice but also in his extremely talented acoustic guitar playing. His talent as taken the independent scene by storm and listening to his music you will find out why. Matt was awarded Best Male at the independent music awards. The tea loving singer/songwriter from the midlands is definitely on his way up to higher heights of success with a busy festival period for 2015. 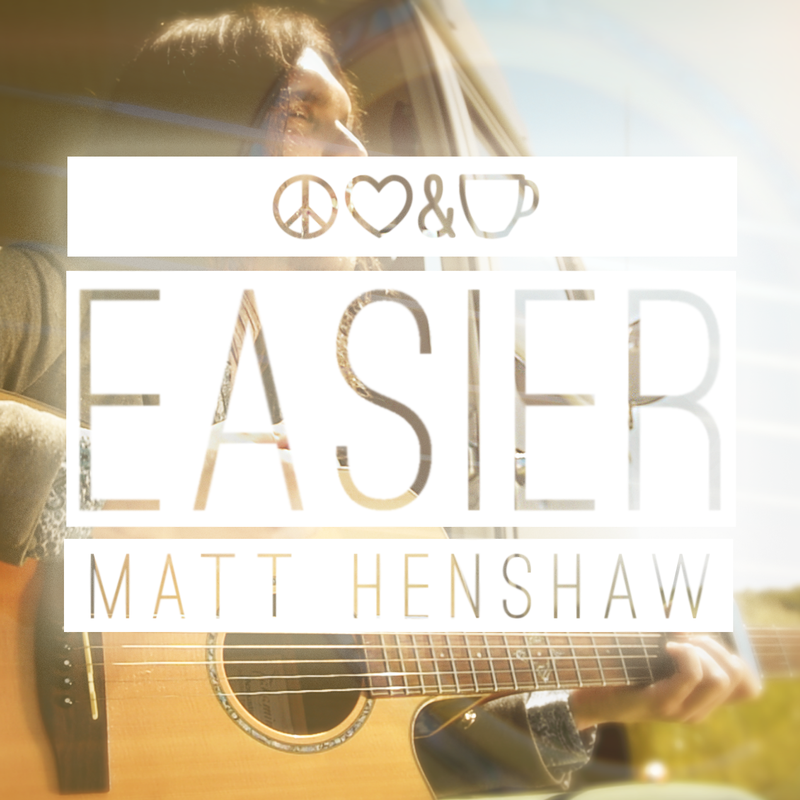 Easier the single, is a guitar driven track with Matt's voice making a statement. Your find your feet tapping away and the lyrical melody content being stuck in your head. Your want to listen again and again. Easier is available to pre-order now and its official release is September 10th. Also don't forget to check out Matt's other original soul laced music found on his website. Show support for this talented independent music artist and follow him "on his way up" on a musical journey to higher heights.